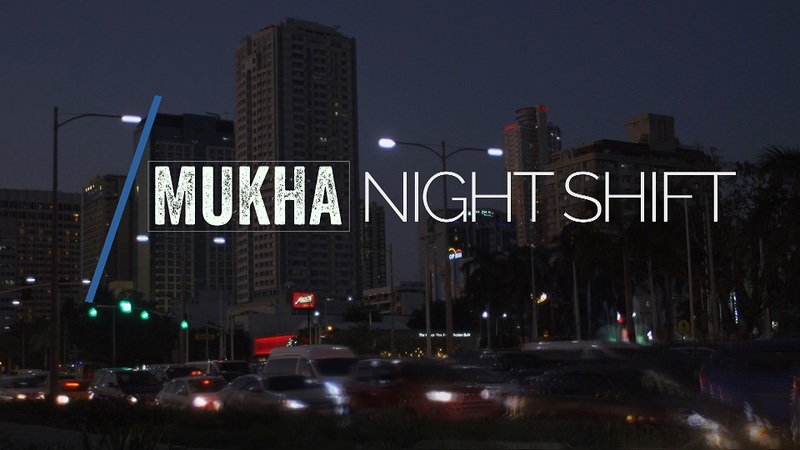 Award-winning documentary series “Mukha” celebrates its third anniversary with a special called “Nightshift,” a look into the lives of Filipinos who toil in the night to provide food, respond to emergencies, inform the people, protect the land, build structures, and keep the economy moving while the rest of the nation sleeps. The stories in “Nightshift” were first shown in six parts on ANC, the ABS-CBN News Channel. “Mukha” made history last year after winning a Silver Dolphin at the 7th Cannes Corporate Media and TV Awards in France. It also was a finalist at the 2017 New York Festivals Awards for International TV programs and Films for its entry “Serbisyo” in the Current Affairs category. Providing food for the people are fishermen like Emboy Samartino of Cavite, who’s out in the waters all night to catch fish, which are then delivered to awaiting buyers by port workers like Joseph Estrada. Keeping the population safe and healthy are the likes of Kenneth Lacuna, an emergency medical technician (EMT) team leader who responds to critical and emergency situations to save lives, and Dr. Kesiah Bugante of Fabella Hospital, who works round the clock to attend to at least 15 patients giving birth each day. Capture the routines of informers like photojournalist Vincent Go, who will share the challenges of working the graveyard to provide a slice of truth each day, and of national broadsheet roll man Rolly Damasco, who meticulously checks the papers before they are printed and distributed to different parts of the country. “Mukha” will also share the experiences of protectors like Manila Metropolitan Theatre security guard Danilo Rubio, who tries to keep accidents and disturbances at bay around the historical institution and coast guard Angel Biliran, whose mission as commander of BRP Pampanga is to maintain peace in Philippine waters amidst the aggravating territorial disputes between Philippines and other countries. It will also delve into the lives of night shift builders like steel man Louie Cabtalan, who is crucial in fortifying the foundation of buildings but is struggling to provide a shelter for his family. LRT Line 2 driver Carlos Valdez, meanwhile, goes to work as early as 2 a.m. to conduct rigorous safety tests on the trains to make sure they are safe to ride by daybreak. Business process outsourcing (BPO) team leader Ralph Rumbines will also give an inside look into the life of a call center worker, how they deal with targets, health concerns, and discrimination as they strive to respond to queries anytime of the day. Likewise, airport ramp personnel Waynajoy Festijo has the lives of people in mind as she ensures evening flights run smoothly, checking on the weight and balance of an aircraft, as well as the refueling and other technicalities of a plane.